Thank you to everyone who supported our Jyamu, Lhamu and YOU campaign, BMKF’s end-of-year fundraiser for 2016. Our goal was $10,000 and we collected $8,500 — enough to pay for two years of undergrad study for Jangmu Sherpa (BSN) and Lhamu Sherpa (B.Ed.). Both young women are working hard on their education and careers are they are about to start their second year of college. The two scholars aren’t sisters, but share the same Sherpa surname and ethnicity. 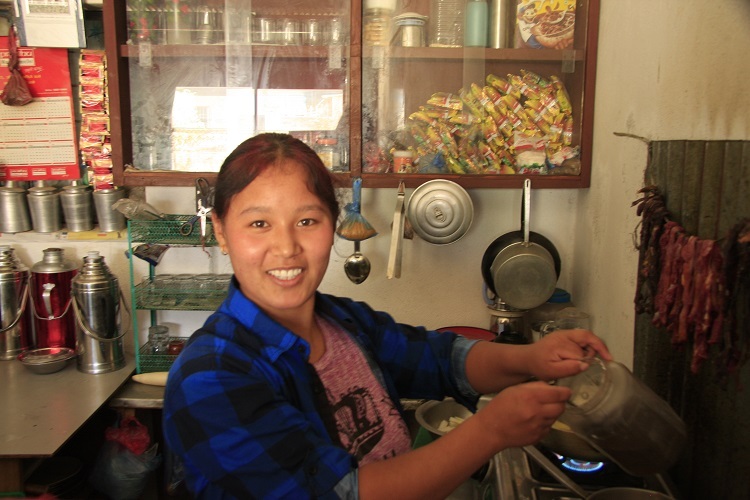 Read on to learn more about Jangmu’s and Lhamu’s personal stories and professional goals. Growing up, Lhamu gathered firewood and grass for the family’s cows each morning before setting out on her two hour walk to school. She was often late. Nevertheless, Lhamu persevered. She studied at night, after her chores were done, and worked hard to pass her high school exams. 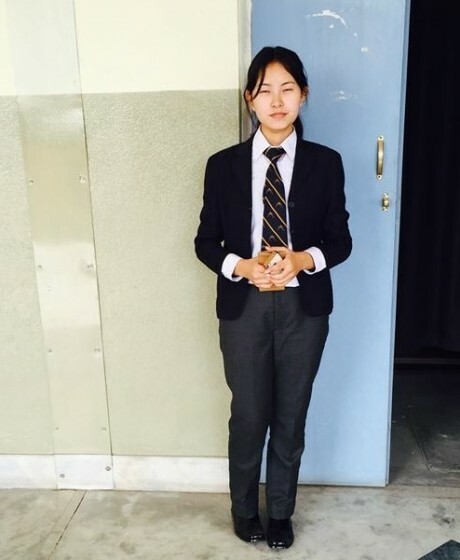 Lhamu’s goal is to teach high school in her village. A BMKF scholarship is helping her to fulfill her dream. “In spring 2015, the earthquake broke our houses and made our hearts fall apart. My family decided they couldn’t live there any more, so they came to Kathmandu. My father said I needed to go work in a foreign country. Fortunately, I was selected for a BMKF scholarship. “I want to study for my bachelor of education degree and then go back to my birthplace, my village, to work as a high school teacher. There is still huge discrimination between a son and a daughter. Community people send their sons to school but hardly send their daughters. Women and daughters have a lot of responsibilities. They have to work hard to collect firewood, fetch water, cut and collect grasses for cattle, cook for the family, clean, and take cattle for grazing. They’re dependent on their husbands and fathers due to lack of education. “Besides gender discrimination, there is caste and social discrimination. Some women are accused and abused as a witch by their communities. Because of these social problems, women in our village are backward. As a teacher, I want to spread knowledge and help end discrimination. I want to prove that sons and daughters are no different — that daughters can be independent and successful if they are given proper opportunities. 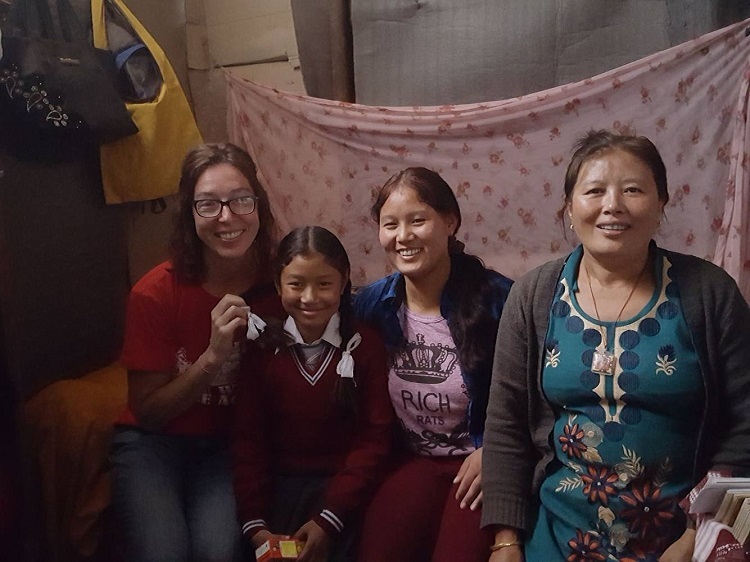 BMKF board member Amanda Wager visited Lhamu Sherpa and her family. Each year only 144 students are selected for enrollment in the B.Sc. in Nursing program at Kathmandu University’s Nepal Medical College. 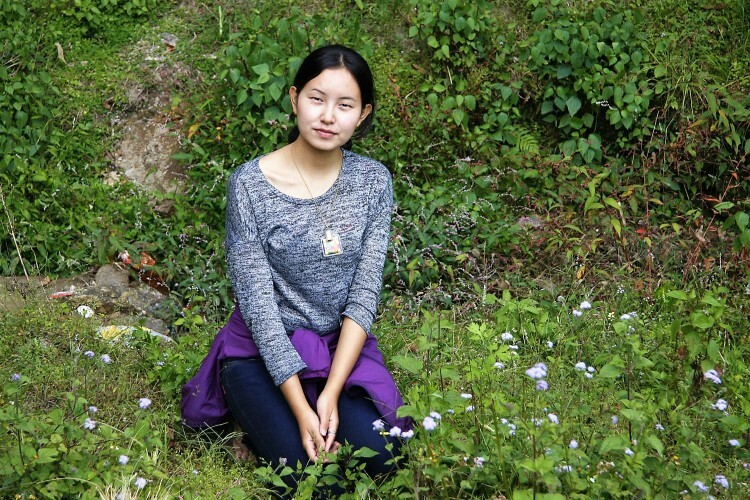 Last year, Jangmu Sherpa made the merit list when she placed in the top 28 students out of 2,000 applicants. She recently completed her first year of the program. “My father works as a trekking guide. His job is seasonal and earns just enough to support our family’s basic daily needs, so our educational expenses were always a challenge. Because of this, my sister couldn’t continue her further study after high school. She is already married now, and I found myself in the same situation. Luckily, my BMKF scholarship is allowing me to fulfill a dream to go to university, for both me and my sister. “This past year, I learned so much about clinical skills and theory, including basic care, human systems, medication, and communication. I feel more organized, tactful, and disciplined. I was so happy about getting to learn and do phlebotomy. I felt like I really became a nurse at that particular time.